Fundamentally, landscape photography is about the landscape that you capture. Although your subject isn’t the only important part of a photo — light and composition are also crucial — it is the cornerstone of a successful image. Even the best photographers in the world need to capture interesting subjects, or their work won’t have any appeal. In the article below, I’ll cover some of the top tips to finding great subjects for landscape photography, from in-depth planning to scouting for locations. If you’re planning a landscape photography trip to Iceland, but you don’t know anything about Iceland, what would your first step be? Personally, like many photographers, I would begin by looking for locations online. To start, you could scour some popular sources of photographs — 500px, Flickr, and even Instagram — to find the high-popularity, frequently-captured landscapes that every photographer loves to visit. I see this as the “skimming the surface of a location” step, which is actually quite important. Although many photographers value unique landscapes and finding locations for themselves, there’s nothing wrong with visiting some of these popular scenes if you find them particularly interesting. What I don’t recommend, though, is turn this “surface-level landscapes” list into your only to-do list. Instead, try to look beyond the ten most popular scenes and find other beautiful landscapes as well. Personally, when I traveled to Iceland a couple years ago, I bought books about the country (some several decades old) with photos of locations that aren’t nearly as popular. I read travel and hiking blogs rather than photography websites, looking for snapshots of landscapes that aren’t on most photographers’ radars. I even searched Google Earth for roads and trails that looked promising, trying to get a feel for the country long before I actually visited it. All of that paid off. In the end, I certainly visited some popular locations, but I also saw beautiful places that aren’t nearly as well-known. Just because a landscape is famous doesn’t mean that it’s the top spot to take pictures. Sometimes, it’s only popular because it’s easy to reach. By looking beyond the surface of a landscape, you’ll capture photos that are as good as they can possibly be. This landscape, Þakgil in Iceland, is not particularly well-photographed. Yet, it was one of the most beautiful places I found on the island. By researching a place in-depth before you visit, you can find hidden gems like this. In my experience, one of the biggest secrets to landscape photography is scouting. Before I knew any better, my landscape photography routine would look something like this: First, I would search for photos of a location online. Then, I would plan to visit that location at sunset. I’d show up an hour early, look for some compositions, and — if all goes well — stand in a great place to capture the light. Is there something wrong with this method? Although it sounds like it would work, and it often does work, there’s a better way to do things: Spend more time scouting. If you show up at a location only an hour ahead of time, it’s almost impossible to explore beyond the surface of the landscape. This is particularly true for famous places — you’ll end up taking the same shot as everyone else, since you simply don’t have the time to plan something unique. So, how should you scout for locations? The real key is to spend as long as possible exploring. There’s no way around that. If you show up at a location multiple times, keeping in mind the best possible photo that you could take there — and the weather conditions that would make it happen — you’re on the right track. There’s a reason why Ansel Adams took some of the greatest photos of Yosemite Valley in the world: He spend 50 years capturing them! More than perhaps anyone else, he knew exactly how the landscape would look under any conditions. If something spectacular was happening — say, a dramatic winter storm — he knew exactly where to stand and what to capture. Scouting is all about preparation. You should know a landscape so much that, no matter the conditions, you’ll have a good idea of what to photograph. 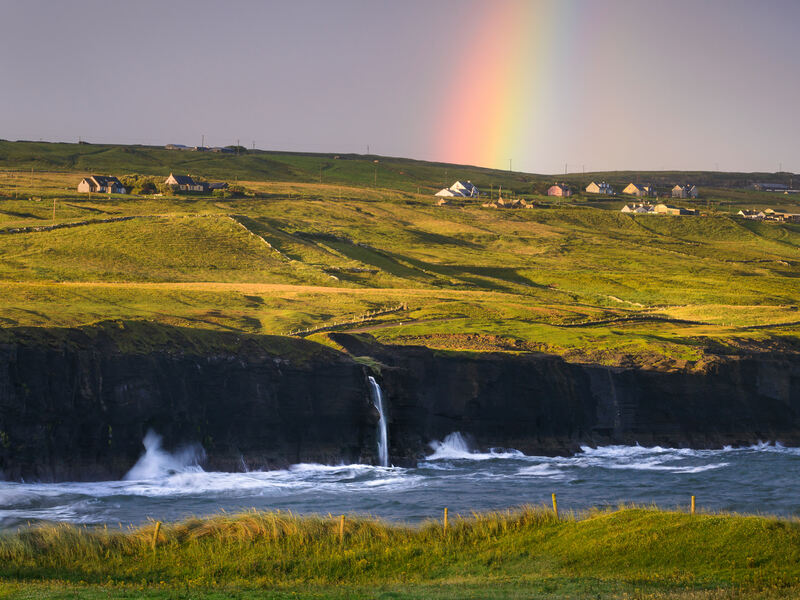 If a rainbow appears behind you, you should know exactly where to run and capture it. If lightning is striking in the distance, you should have a foreground in mind instantly. Good scouting takes time. Sometimes, you may need to revisit the same location over and over in order to capture the best possible photo of a scene. I’ve visited some landscapes at least a dozen times before capturing the shot I really wanted, and many other photographers do the same. I took this photo on roughly my tenth visit to this waterfall. It was rainy and misty, making for a beautiful waterfall. Since I had scouted and refined the best possible composition on prior trips, I was able to take this photo under ideal conditions. So, what if you don’t have much time at a location? For example, if you’re traveling, and you only have a day to spend at a particular landscape? In that case, scouting is more important than ever! Personally, I would look at the weather forecast throughout the day. If there’s going to be snow, or a storm, or interesting clouds at sunset, I would want to know. Then, I would spend as much time as possible at a single location — most likely, one I read about or saw earlier — walking around and searching for all the photographic possibilities. With the weather forecast in mind, I would pick out a few different compositions, each ideal under certain conditions, and refine my framing while I wait. Then, when conditions improve, I would take the photo, potentially alternating between the compositions I had scouted at first, or possibly sticking to a single one if it happened to be clearly better than the others. Scouting is all about being prepared for any conditions that you encounter. You can refine your compositions, discover hidden subjects, and, most importantly, create a plan for what to shoot. When you have an “end result” photo in mind, you can make it a reality. Some of the most popular landscapes in the world are found at overlooks. Think about places like Glacier Point or Tunnel View in Yosemite — often, overlooks are popular because they are beautiful and easy to access. Yet, at the same time, overlooks can be very limited places for landscape photography. However, there’s another problem with overlooks — one that matters to almost every photographer. At many overlooks, you only have a limited number of compositional opportunities. You can use a telephoto or a wide-angle, take a photo at night or during the day, capture the landscape under a storm or a clear sky… but, often, you can’t move your tripod more than a few meters in any direction. That’s why, when people ask me for advice on capturing good landscape photos, I always recommend trails instead. When you go on a trail, the entire world is your playground. Trails open the door to hundreds of potential subjects, including some unique shots that only a few other photographers might notice. And, of course, you have the flexibility to position your tripod wherever you want. My favorite trails are off-trails, where you can wander around with total freedom and flexibility, not confined to a specific path or a single viewpoint. I took this photo along a beautiful trail, relatively close to a famous viewpoint. 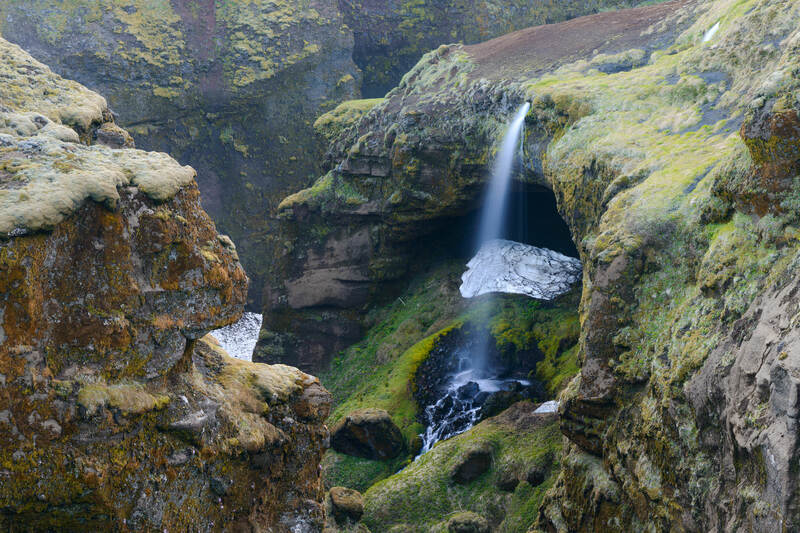 Yet, because it’s on a trail with countless other landscapes, this amazing waterfall is rarely photographed at all. I do realize that this is a bit of an extreme distinction. Sometimes, you’ll end up on a trail to an overlook, for example, or at an overlook that lets you walk around for multiple perspectives. Those can be fantastic for landscape photography! As I see it, though, a trail for a trail’s sake is one of the best places you can be for landscape photography. When you hike along in a beautiful location, you’ll automatically gravitate to beautiful spots along the way. Finding beautiful landscapes is something that you’ll get better and better at over time. With practice, you’ll be able to identify beautiful subjects and know exactly when to capture them, even after seeing only a few snapshots of a scene online. In fact, online research is one of the first steps to taking great photos. Although you certainly should look for popular landscapes that everyone captures, you should also try to find hidden scenes that are more obscure. Popularity and beauty don’t always go hand-in-hand, and you’ll be able to plan for some great locations ahead of time if you look off the beaten path. When you ultimately go out to take pictures, be sure to spend as much time as possible in a landscape, and truly get to know it. The more times that you visit a location, the better your photos will be. You’ll notice new compositions and interesting subjects, and you’ll know exactly what to capture when conditions change. Scouting is about familiarizing yourself with a landscape, and it’s perhaps the best way to elevate your photos from a snapshot to something amazing. And, finally, give yourself flexibility when you take photos. The easier it is to explore a place — again, trails rather than overlooks — the more likely you are to find something great. Yes, you can capture beautiful photos anywhere, but it’s always best to have as many options at your disposal as possible. Landscapes are meant to be wandered and explored rather than captured from a single viewpoint from afar. If you employ these three tips, you’ll be well on your way to finding amazing locations and capturing the best possible landscape photos. Landscape photography is all about scouting. It is among the most valuable tools you have at your disposal as you capture extraordinary photos. Most articles and books on photography, though, don’t focus nearly enough on scouting, or the creative process in general. But the fact is that you can dive much deeper into this subject than you might think. Specifically, if you’re trying to take your scouting skills as far as possible, I strongly recommend our eBook, “Creative Landscape Photography: Light, Vision, and Composition” (in particular, the chapter on vision). To be frank, eBooks in general don’t have a very good reputation. But my hope is that you’ll give this one a chance and see what it has to offer, since all of its suggestions are designed specifically to be as accurate and tangible as possible, in a field where accurate and tangible tips can be remarkably difficult to find. Thanks for another great article. Landscape photography can be frustrating. There are two landscapes that I want to take. Having been to the locations numerous times and taken the pictures a number of times I have worked out the exact spot that I want to take the pictures from. Both are within 15 minute drive and a short walk, but they are eluding me. Life would be so simple if these were the most difficult and important issues I faced. The first is a partial city scape from the hills. The two issues are haze (summer)/smog (winter) and the position of the sun. The second is a 3 shot panorama of the hills with the estuary in the foreground. I want to take the picture near high tide and an hour or so before sunset (light and the position of the sun). I also want a few clouds above the hills. This will look better than a bright blue cloudless day. If it is windy I will have to push the iso up a bit so that the clouds marry up where the pictures are stitched. My work schedule also means that I only have 3 evenings a week free to take the pictures. All these factors are limiting. I am so fortunate that the scenery around is lovely. I will get the pictures. Mark, thanks for adding this. It sounds like you’ve really refined the two photos that you want to take, and now it’s down to waiting for the right conditions. I’m sure you’ll get the shots soon enough, but you’re right, it can be frustrating when the weather doesn’t cooperate. 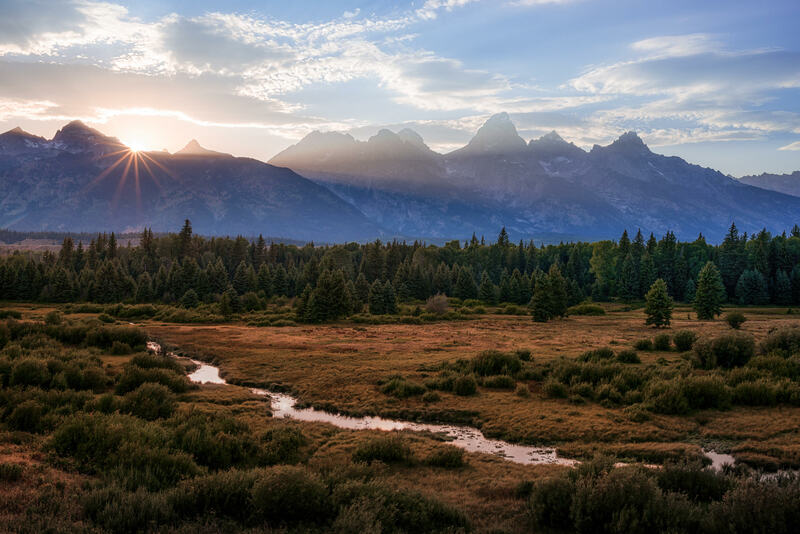 When I traveled to the Grand Tetons, the first few days were completely smoggy due to a nearby wildfire, and it wasn’t possible to capture anything good near sunset or sunrise. It cleared up in the end, luckily, which is how I got some of my favorite shots that trip. Spencer, you are right about overlooks. Overlooks along a road indicates good views, not good places to shoot views. Overlooks are sited by road engineers, not photographers. But if there are overlooks there are good views somewhere. Drive slow and keep an eye out. When you see something good note the place, note the nearest place wide enough to park safely, then turn around and drive back. Use overlooks to let that line of traffic behind you pass. Google Earth is a wonderful way to find views. Put it into 3D, then tilt and whirl. Be sure to look for trees; a line of trees along that ridgetop meadow means that you might have a pretty meadow but you certainly don’t have a view. If you like USGS Topos check out mapper.acme.com; you can switch between Google maps, Google Earth (no 3D), and the topo. IMHO, trails take too long to get to a good location. And you can take an hour, two hours, to get there only to discover that the light is wrong or that it’s been overgrown. True, it certainly depends upon the trail. Sometimes, depending on the location, I’m not even interested in hiking a trail with an “end point” for photography — instead, I like finding locations along the way. That’s not how it works everywhere, but many trails are like this. Thanks for the map information. I’ll be sure to try that next time. All these photos were cropped, right? Yes, I tend to crop most of my photos at least slightly, including tilt corrections. The first photo in this article, as well as the waterfall photo under the “Overlooks and Trails” section, are both panoramas. So, I naturally cropped them in order to create a photo without blank spaces on the top and bottom. The photo with the rainbow has a 4×3 aspect ratio (rather than my camera’s native 3×2 aspect ratio), so, naturally, it’s cropped as well. 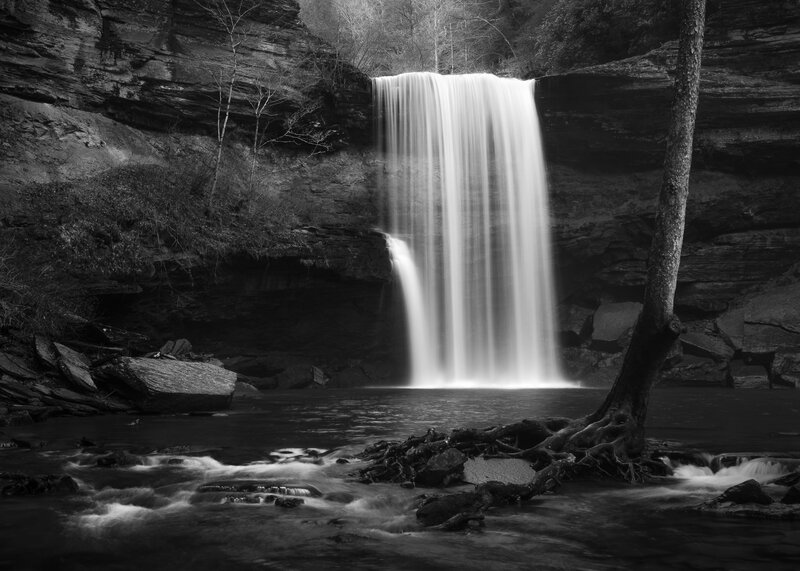 The black and white waterfall photo, along with the final photo in the article, are cropped to a 5×7 aspect ratio, so the same is true for them. 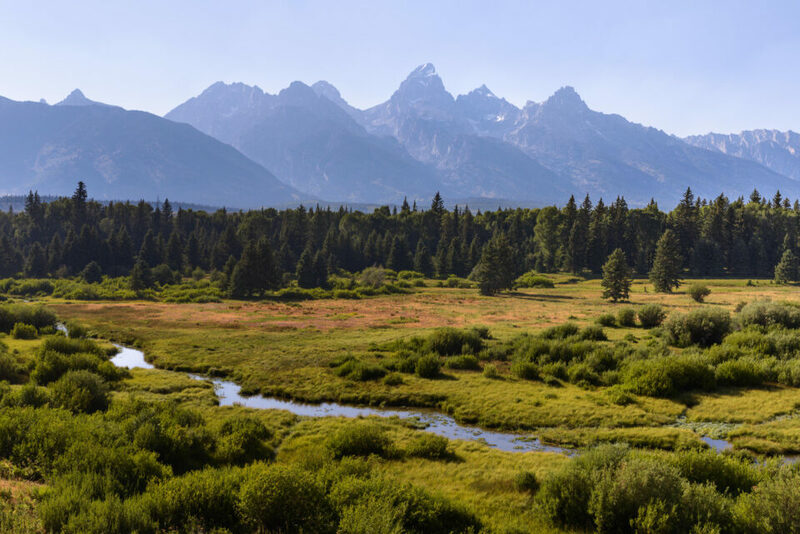 The other two photos (Grand Tetons shots) also have very minor cropping and tilt corrections. Great article. I like the way you plan ahead. I find a need a day of just driving around–Death Valley, Vermont in Fall, Yosemite–to understand what I am seeing. My sense of wonder needs to distill. For example, I thought I understood vast until I saw Death Valley. It took a day for my to redefine VAST before I could start planning my shots. Isn’t landscape photography great! Great article, Spencer! You really nailed the dilemma that we face in terms of finding locations in the first place and then making decisions that affect subject and composition, usually under strict time constraints. By the way, I’m not sure if you have used SunCalc or anything similar, but it is extremely useful for finding out sunrise / sunset times and what direction the sun is going to be rising and setting in! There is an app for iPhone / Android too. What I like about it is that it shows the times for the different twilights in more detail – very useful for time-lapse, “blue hour”, and astrophotography. You can also use it to determine where exactly to be to get the Moon or Sun “touching” a landscape feature you’re interested in, by use of the markers. I agree about the flatness. I’ve lived in Florida and had to shoot in Eastern North Carolina. But surely there are things about it you love? Consider it a challenge. Use Google to scout from home. Click on the double arrow, lower right, to get a gallery of other people’s photographs with lines showing their locations. They are usually pretty bad, but they’ll show you what’s out their there and where to find it. Use Streetview to explore the location in more detail. For instance, have you tried shooting Sint-Pieterskert on the Turnhout town square, putting the outdoor tables of the Capriani in your foreground? The church is south-facing from this angle. Make sure there are people at the tables, but no crowds. Don’t worry about the perfect time of day for light; instead, worry about having brilliant blue skies and crystalline air. People eating at outdoor tables are interesting in themselves, and serve to block out the vast expanse of pavement between it and the church. This took me five minutes to find on Google, and another ten minutes to scout it in detail (mainly because Google is not working properly this morning). And I’ve never been to Belgium. For that matter, see if they’ll let you shoot inside the church. I’ve shot inside lots of churches and cathedrals in Britain. I’ve never been turned away. 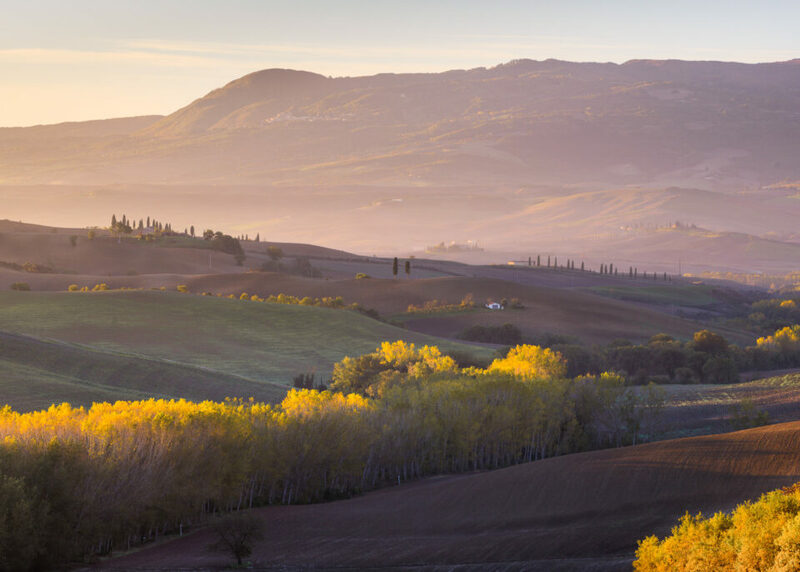 For rural pictures, concentrate on having a colorful and/or vertical subject to balance the flatness — unless you have interesting light, such as a sunrise through a dissipating fog. (I bet Belgium gets a lot of fog. Fog is a wonderful subject all by itself. Fog is your friend.) A tripod helps you make fine adjustments to your composition. Finally, if it’s winter don’t shoot locations with leafy green trees. You’ll waste your time. Organize your collection instead, and scout locations from your desk as it pours rain. The Belgium government probably publishes a map series akin to Britain’s stunning Ordnance Survey or America’s pedestrian USGS Topographic Quadrangles. These national series are tremendous for scouting outdoor locations. Before I left Belgium, I did do my best to find the beauty in the flat urbanized landscapes here, and occasionally came away with a shot that wasn’t entirely boring. However, the contrast with living in hilly and mountainous areas in Switzerland and France has shown me what landscape photography is really about, and that is firmly out of my grasp now. Think of it like the difference in sense of achievement when you capture an eagle out in nature with nobody else around versus getting a similar shot in a zoo. The latter might look OK on facebook, but the shooting experience isn’t nearly as satisfying. Greg, I definitely see what you’re saying. That was one of the main reasons I took up macro photography — it meant that I could take photos even where there weren’t as many interesting landscapes. Even now, I mainly take landscape photos while traveling rather than nearby, but I certainly like to take photos of little ice crystals with my macro lens whenever I have the chance (fewer opportunities this winter though). There’s no quick fix, but I do wish you good luck in capturing the photos you want! I totally understand the reasoning and sense of ‘scouting’. However is this something that is possible for the average man? Finances and time constraints are a major concern to the majority of us I am sure. It takes me about two years to save for a two week gettaway. Then you have to consider your wife/partner, they certainly don’t want to scout out photographic scenario’s. My last trip to Europe was in 2007, two weeks and 9, yes 9, countries by bus. Fantastic trip, would do it again in a heartbeat, but all my photos look like holiday snaps because there was no time to scout or even set up. It cost us $22,000, watching our $’s as we went, $9000 was just the cattle class flight to London. I sympathise with Greg V in regard to scouting picturesque landscapes when faced with uninteresting terrain. I ended up in Western Australia in 1994. This is a great place to live but this is a vast inhospitable land, there is a reason why the cities hug the coast. When I lived in the UK I travelled through Europe all the time, because it was easy and cost effective to get about. I spent years living and travelling through Spain, Greece and Malta. I had an interest in photography, Canon AE1 film with a 50mm lens. But the results that came back from the chemist was always disappointing, so my interest waned. Now that I can control my digital output with Lightroom and Photoshop, there is no great architecture (with hundreds/thousands of years of history) or easily accessed vista’s. The iconic images one knows of Australia is either 6 days drive or 12 hrs flying. Then you need a camel and food rations to get to that gorge or escarpment. he and four other eminent photoghraphers hired a decomissioned helicopter gunship to perch them on the top of the ridge, and come back an hour later! There are some breathtaking views here but even though I live here, some of the trips are once in a lifetime events, purely because of time and cost. I tend to live my photographic landscape dream vicariously through other’s such as yourself and Christian, mores the pity! Andy, I certainly agree — this is something that isn’t always feasible to do while traveling, unless the specific goal of your trip is to take landscape photos. However, I do find that scouting is possible even in a day-to-day way. If you ever drive around and find interesting landscapes near your house, then plan the best possible conditions to photograph them, that certainly counts. A few of my better photos (including the black and white waterfall photo in this article) were taken relatively close to my house, and, as I told Greg above, I don’t live somewhere with endless landscape opportunities. Andy, you have travelled well. I admire your experiences through those countries that you’ve mentioned. I hope to explore more some day. But like you said, there are constraints of family and other responsibilities. However, just by reading your blog, your story is worth a thousand pictures. We do what we can with our time, but the experiences is well worth the pictures we are able to capture as well. thanks for your experiences. Fabulous article Spencer! Living close to the Canadian Rockies I am getting tired of the same pictures and locations everyone shoots (Moraine lake in the summer, Abraham lake in the winter, and Vermilion lakes all year round). Not that there is something wrong with them, in fact they’re beautiful, but they are just everywhere and have been shot under all imaginable light conditions. I am always looking for something different that gets me out off the beaten path, and in that regard, I find more valuable information on hiking forums and blogs than I do on photography sites like 500px, Flickr… Hikers will post pictures that reveal amazing locations mostly under poor light conditions, so all you have to do is think about that same spot under different light and do some research and planning ahead. As for consulting with hiking websites, that’s one of my favorite pre-trip tips. Hikers know of so many beautiful places that photographers don’t, and it’s easy for us to follow in their footsteps! As a beginner i want to understand one very basic thing when you say shutter speed of 1/10 ( one tenth of a second ) but a shutter speed of 16/10 means what ??? Exposure time = N/D seconds. The beauty of Thakgil is also imprinted on my mind. It is the most beautiful campsite (plus wood cabins) I know of that is accessible with a normal car. It was really amazing, perhaps the best place I visited in Iceland. We were only able to spend a day there, but I’d love to return some day. Spencer, really a great post. Recently, I read an interesting story on a new technology to identify interesting photo locations (see: : Mike Wong uses the geotag informations of pictures published in 500px and designed a website visualizing interesting locations in a cloud like map “https://photospots.mwong.ch/”. Really great for preparing the own trip! Thanks, Michael. I like checking out geotagged photos before a trip, but I hadn’t seen that article before. Thanks Spencer, good post, my 94 year old retired film maker/photographer friend told me about attending a lecture by Ansel Adams in NYC many many years ago where Adams was asked about the iconic moon over Yosemite shot and how did he select the location to set up his camera. Apparently he rented a cabin in the vicinity and spent the days before the new moon hiking trails and figuring out the perfect location. Then when the new moon appeared he hiked up every night to that spot until the moon was in exactly the right place and the moonlight was perfect and then he took just one photo, packed up his gear and left. When asked why he hadn’t taken more shots over more nights he said there was no need, he knew exactly what he wanted and when everything was in place, one click and he was done. How things have changed, Adams spent probably several weeks getting that one photograph and now we spend an hour on location and take 20-30 frames or more to capture that one or two we keep. It’s nice to know that even Adams didn’t always manage the shots he’d wanted to get, and that he was always ready to accept a bit of “luck” when it came his way. Translating his conviction that “chance favors the prepared mind” to the modern era of digital photography: there’s nothing wrong with taking extra (bracketed) shots now that it doesn’t cost us anything anymore – I’m sure he’d do the same if he was around today. He really knew what he was doing, and I admire the unapologetic realism and attention to detail in his photos. Thanks for sharing this anecdote.